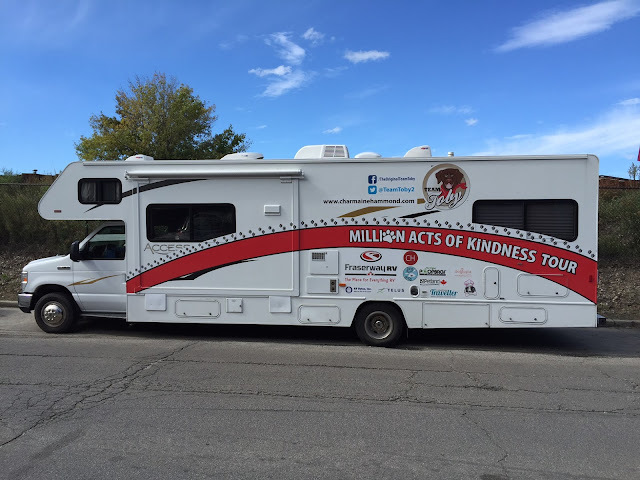 On the second day of the Million Acts of Kindness tour, the team made the long voyage over to Calgary, Alberta. A long drive through the mountains in rain and fog. Arriving quite late at night, it was convenient to be able to park the Fraserway RV in the Wal-Mart parking lot, which was situated right across the street from our hotel sponsor for the night, Super 8 Shawnessy. This hotel generously hosted Team Toby for the second year in a row. I was pleasantly surprised with this hotel, as the decor was quite modern and the service was fast and efficient. You know you’re at a hotel that loves dogs when there is a huge vase full of dog treats on the counter! Thankfully, the team got a good night’s rest that night, because our agenda was full of kindness events and activities! Early that morning, the team made their way to CTV, where Charmaine and Toby were featured on Morning Live. 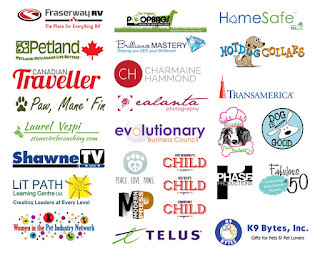 We are so fortunate to have the local news channels support our cause and help Toby bark his message of kindness across the country. CBC showed up to cover the event. 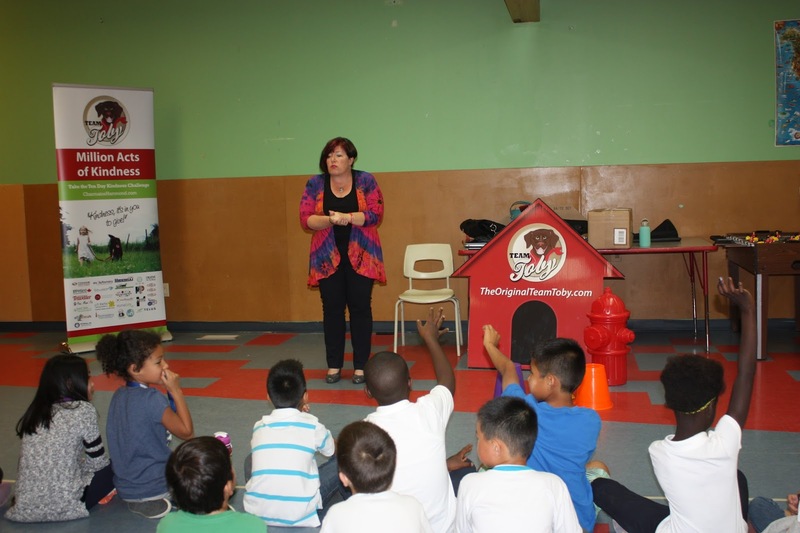 Toby got to make some new friends at the Boys and Girls Club of Calgary that afternoon, where Charmaine, Chris and Toby were able to teach the students valuable lessons, such as how to treat each other with kindness, love and respect. Toby helped the students find ways in which they can help each other out, as well as ways in which they can be kind to family members and club staff. 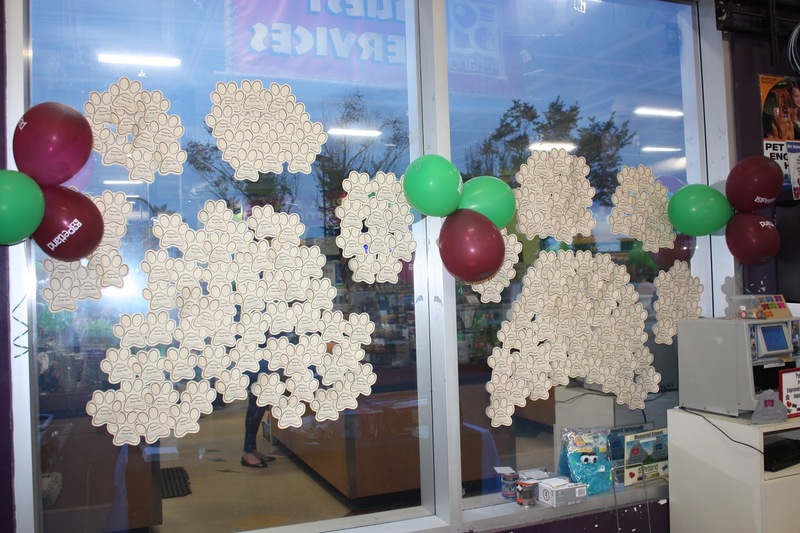 Thanks to Petland Canada, all the children were able to take home a copy of Toby’s book and kindness bracelet, so they can remember Toby’s positive message. 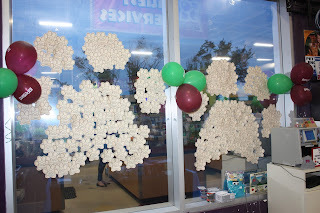 That night the team celebrated yet another fun and successful day at Petland Canada’s store in Shawnessy. Charmaine and Toby were thrilled to meet the staff that helped out on the Twoonies for Team Toby fundraising campaign. Because of their hard work and dedication, hundreds of students across Canada will now have access to Toby’s books and kindness presentations. It was also great to see some of Charmaine's friends who came to support the event. 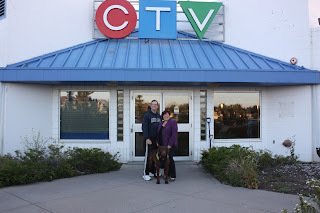 ​That night we left Calgary​, and​we had a short and pleasant drive to Airdrie. 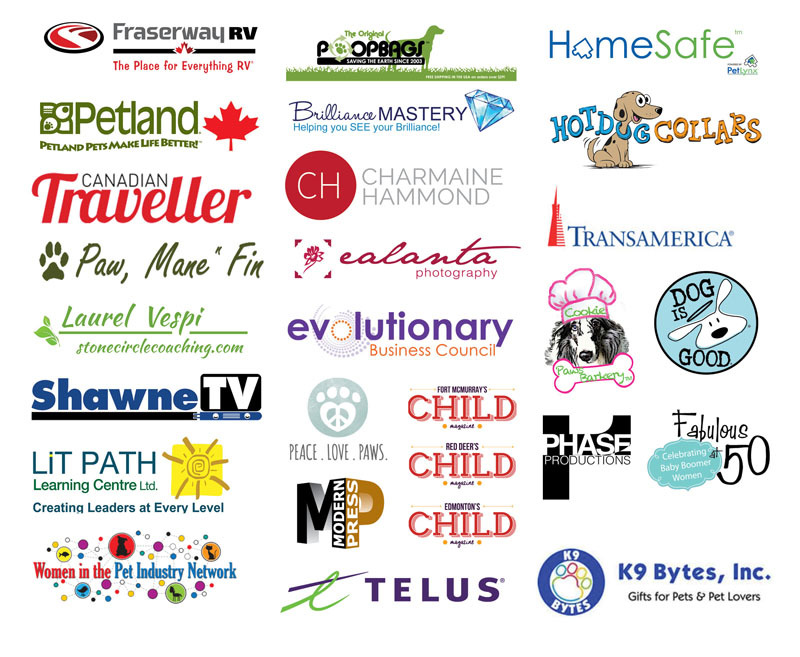 Thank you to all our sponsors, partners and champions on the Million Acts of Kindness Tour... you are helping us make a difference! PS..... What's on your bucket list for travel this year? Please share. Canadian Traveller Magazine, one of our sponsors, would love to know.